Hopewell Downs is a neighborhood of 27 homes located in the City of Milton Georgia 30004. The Community is on 1 large wrap around street called Hopewell Downs Drive. Most of the homes were built 1996 to 1998. Home Builders include Peachtree Residential. List prices since the community has been developed until time of post, is between $305,900 to $469,900. The median sale price for a home in Hopewell Downs, at time of post, is $380,814.00 and takes on average, 75 days on market to sell. Home Owner Association Fees, at time of post, are $250.00 a year and this is not a swim and tennis community. Directions: GA 400 N to West on Windward Parkway. Continue on as Windward Pkwy W becomes Cogburn Rd. & Cogburn Rd becomes Hopewell Rd. 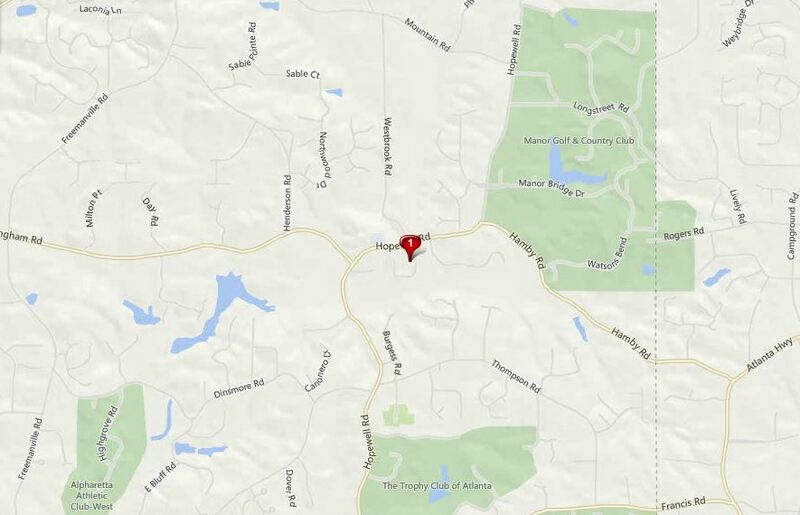 Turn right onto Hopewell Downs Drive.